Look 3. Short sleeve back button engineered darted blouse in silk and cotton organdy. 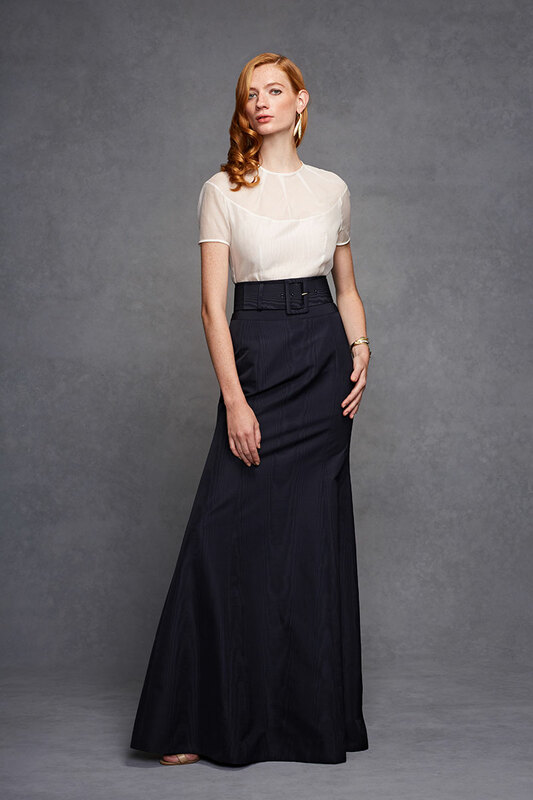 Floor length fit and flare skirt with back vent in cotton viscose moire taffeta.